The majority of people buy Q-tips to clean their ears even though that was never their intended purpose. In fact, using a Q-tip to clean your ears is one of the most harmful things you can do. (Q-tips were originally made to apply various products to babies’ skin). In any case, Q-tips seem relatively innocuous on the surface, but using them to clean your ears can be very harmful. In fact, even the Q-tip brand itself advises against using their product to clean your ears (it’s actually written right on the package! ), not to mention medical professionals who advise the same thing. Most people use Q-tips to clean their ears; not only is is a satisfying feeling, but it removes ear wax, right? In fact, this is actually a misconception. Using a Q-tip to clean your ears does not actually remove earwax; it simply pushes it further down your ear canal. This breeds fungus, bacteria, and, ultimately, infection. 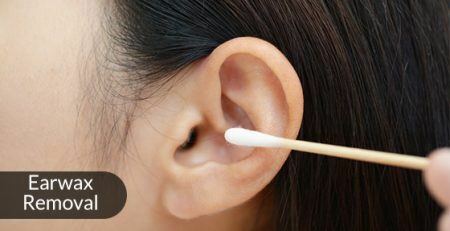 Using a Q-tip to clean your ears can also lead to a condition called cerumen impaction (i.e. earwax impaction), which can cause hearing difficulties, an uncomfortable full sensation in the ears, tinnitus, or even vertigo. It can cause tiny tears in the inside of the ears, which, again, can lead to infection. 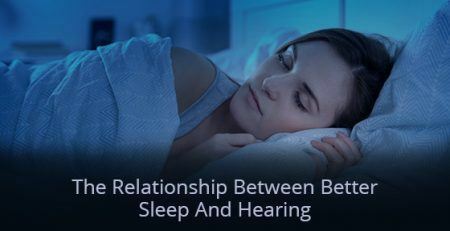 Worse yet, you could effectively rupture your eardrum, which is a very painful condition that could compromise your long-term hearing. Here’s another common misconception about earwax and Q-tips: ear wax does not typically need to be manually removed from your ear. Earwax is actually a protective mechanism designed to stop dust, dirt, and so on from entering your eardrums. You naturally dispel earwax through chewing and talking. Some people are prone to ear wax building up in their ears, but, for most people, this is typically not the case. 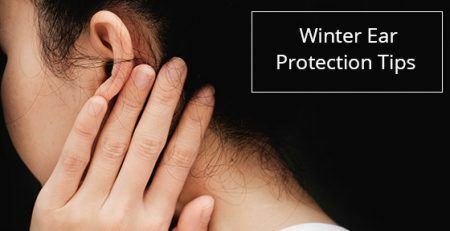 If your ears are itchy or you have an earache, for example, these are a couple of signs that you may have a buildup of earwax. If that’s the case, it needs to be removed by a professional via an earwax removal service (which, for all intents and purposes, is quick and painless). Here are some signs you may be in need of an earwax removal service. Otherwise, you should simply not stick things into your ear. 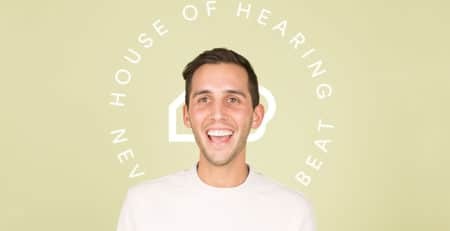 If you are looking for an earwax removal service, consider House of Hearing Clinic. 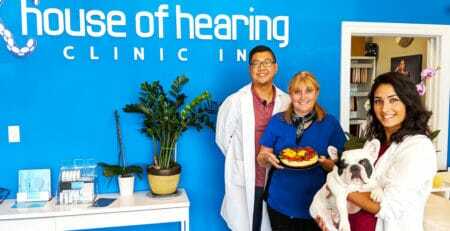 House of Hearing Clinic is a well-known hearing care clinic, home to licensed audiologists. Book your appointment today here. How Do You Know If You Need Earwax Removal?